As you will see from recent blog and YouTube content I am on a mission to hunt out more Vegan/Cruelty Free/Natural Products. Due to my allergies and other health issues my transition to being a Vegan in terms of what I eat will be a slow and slightly complicated process – if it is something I am able to do at all. I am determined to do my bit though, and for now I thought a good way to contribute to the cause is to adapt my beauty regime, and also inform others about my discoveries. 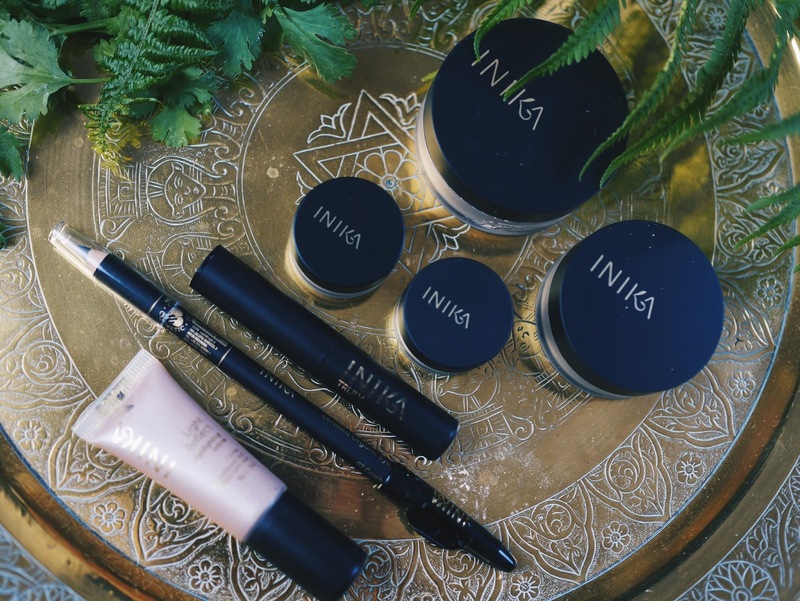 This week I had a very generous delivery of Vegan and Cruelty free products to review including this haul of make up by Inika. Firstly let’s talk about the packaging, which I personally think is simply stunning. Black and gold makes for a classy and luxurious aesthetic, with the minimal text and the bold but understated logo preventing it from being overly fussy. I like that it hasn’t gone down the obvious route of thinking every vegan or natural product has to scream about their credentials via it’s colour pallette and design. With these products the thing that springs to mind on first impression is that you are about to use something of quality. 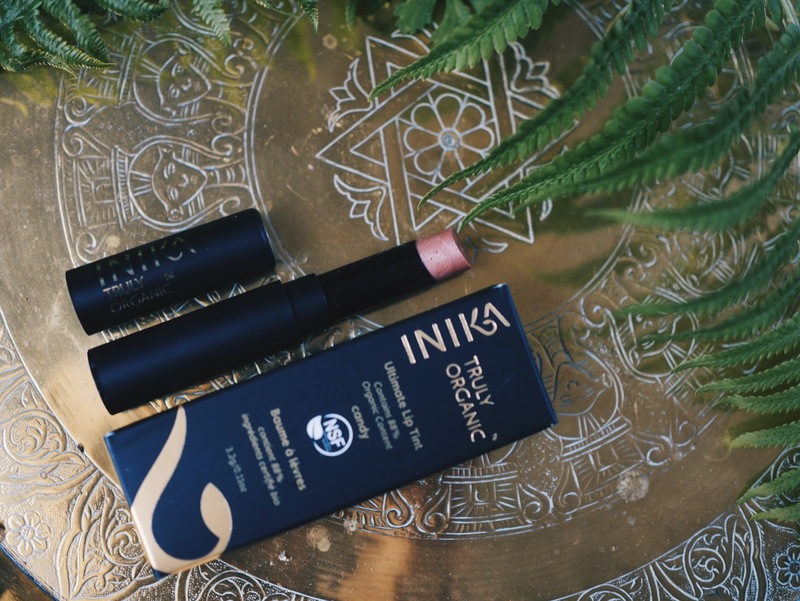 A lot of the vegan products beauty products I’ve reviewed till now have incorporated green and something that connotes nature, like leaves, but this packaging is so sleek it will appeal to those who love high end beauty, not just those looking to buy vegan/natural products. When you take the products out of their cardboard packaging you continue to be pleasantly suprised with all of them boasting very clean and chic casings, all in a pleasing matt black. 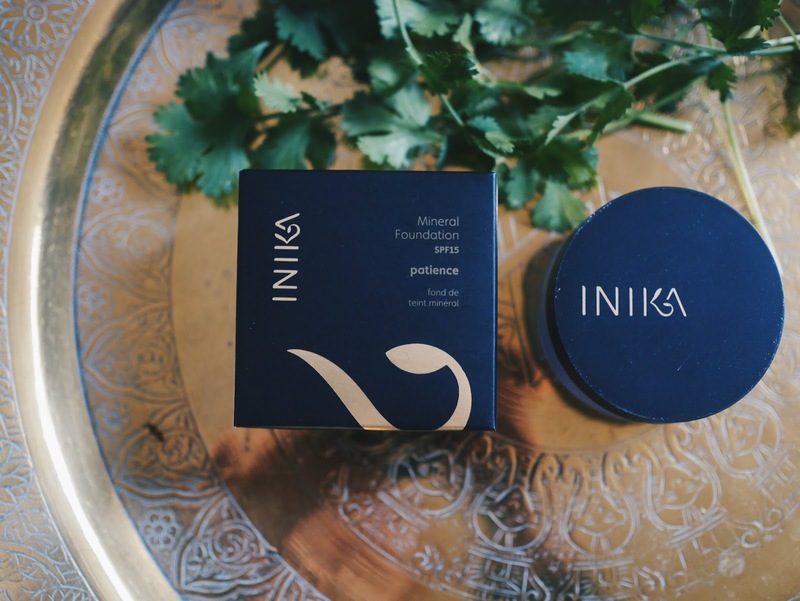 After prepping my face with some primer, I brushed over Inikia’s Mineral Foundation in Patience 05. Although it wasn’t far off, it is currently slightly too dark for my face. It will be perfect once our summer sorts itself out and actually stays for a considerable amount of time though. 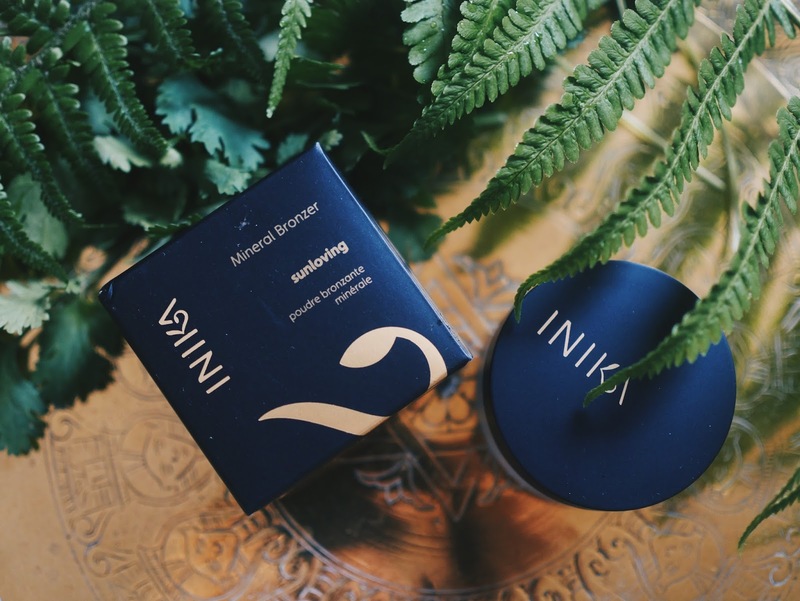 I’ve always loved the concept of mineral foundation. 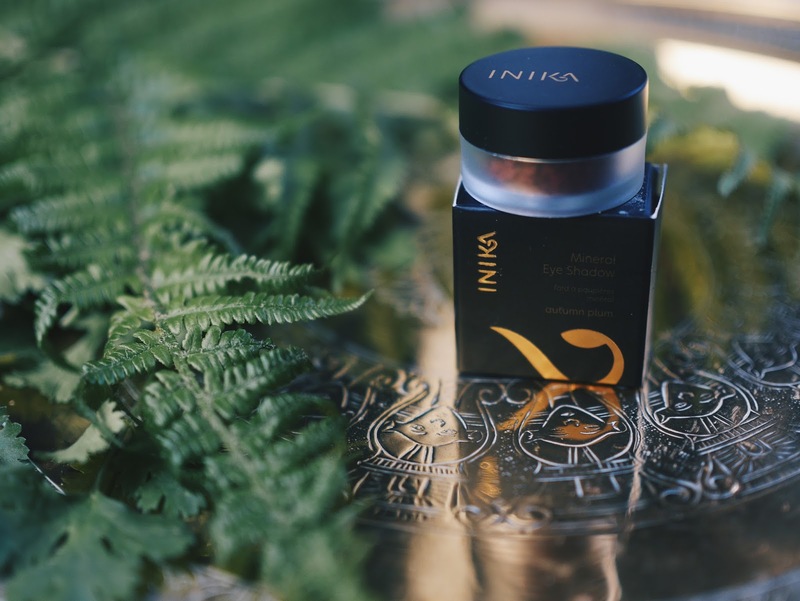 How nice to apply something confidence improving to your face that will simultanesouly improve the condition of your skin. 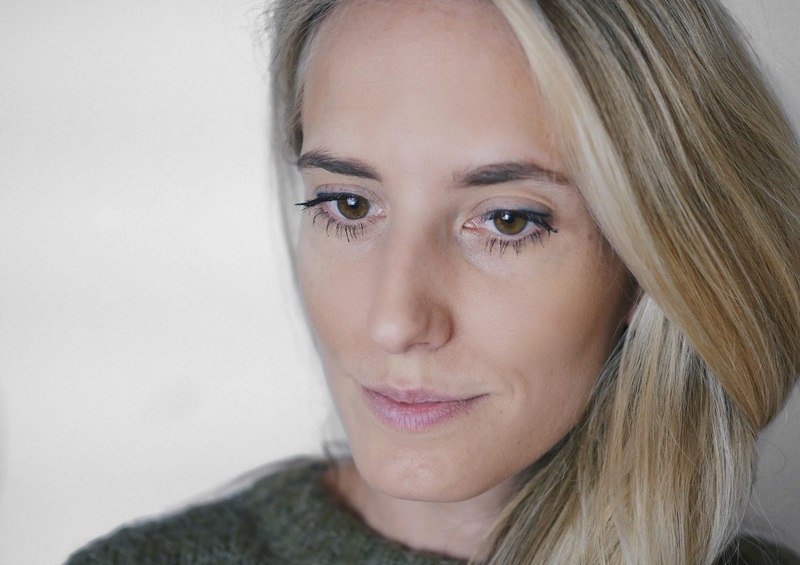 I’m consistently on the hunt for foundations that will cover the effects of past acne, while not encouraging future outbreaks, but it’s actually annoyingly rare to find. 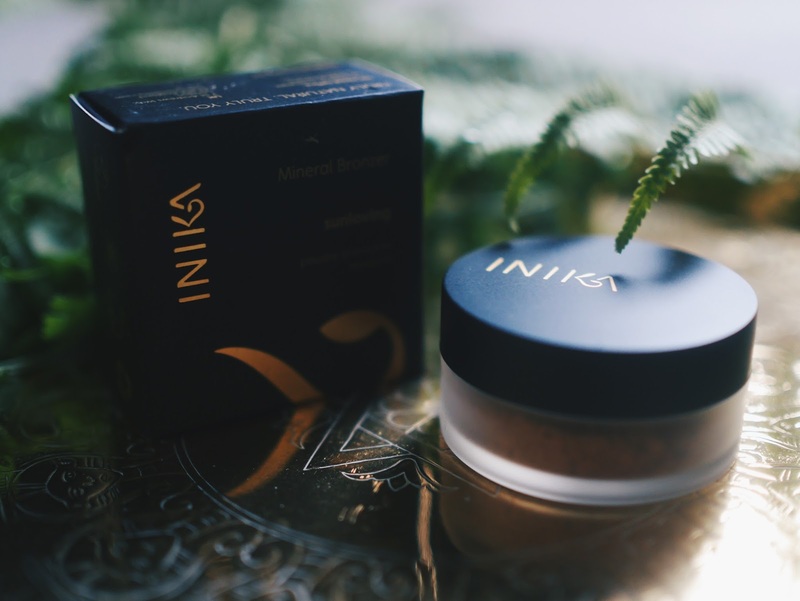 I am also always suprised at the coverage a mineral foundation delivers, for some reason you just don’t think a powder will ever do enough to cover all the bits that make you self conscious. 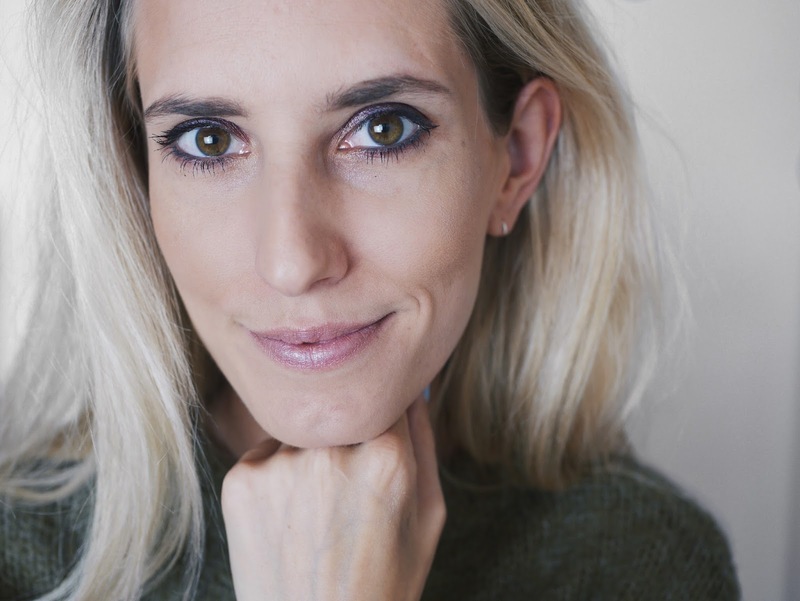 Quite often, if teamed with a quality concealer (for those troublesome areas or spots), you can create decent coverage, and one that looks like your skin is still able to breath through. 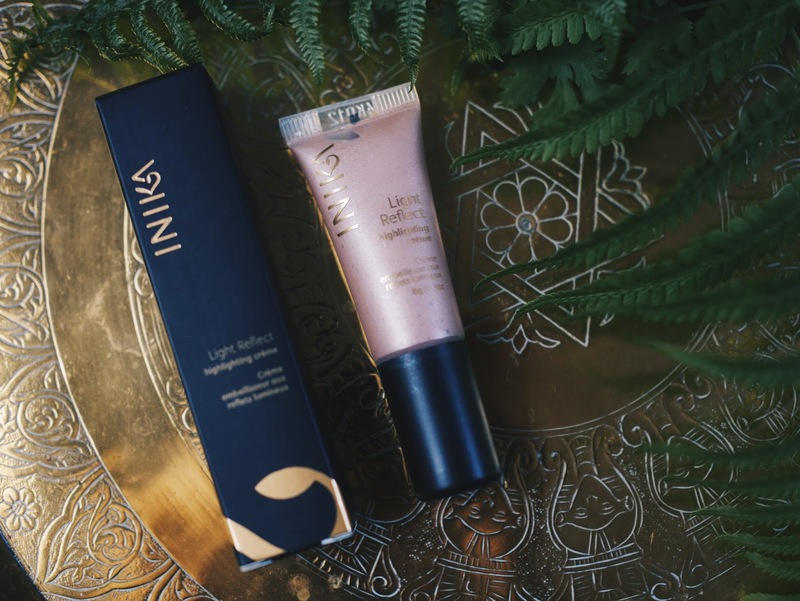 Even when my skin is in a fairly calm period I find it hard to shake off my insecurities regarding my skin, so I tend to still wear my full coverage liquid foundation. That said, when I’m on holiday I’m all about the mineral foundation, as I don’t think sweat and creamy foundation is a helpful or pleasant combo. The good thing about this example is that it has an SPF 15, which makes it an even better holiday companion. 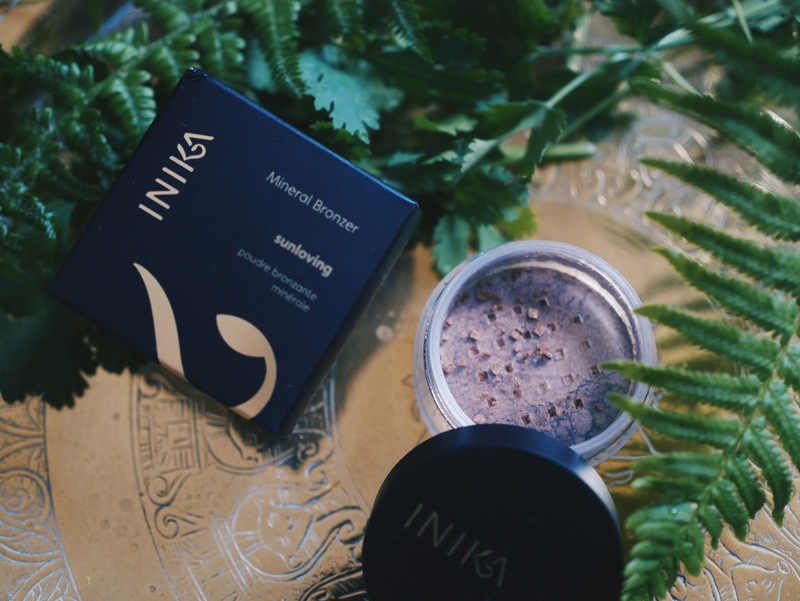 I was impressed with how it evened out my skin tone, but also that it lasted the whole day. If you’re still not ready to make the transition to mineral though, it’s great for dusting over your foundation to mattify and set. 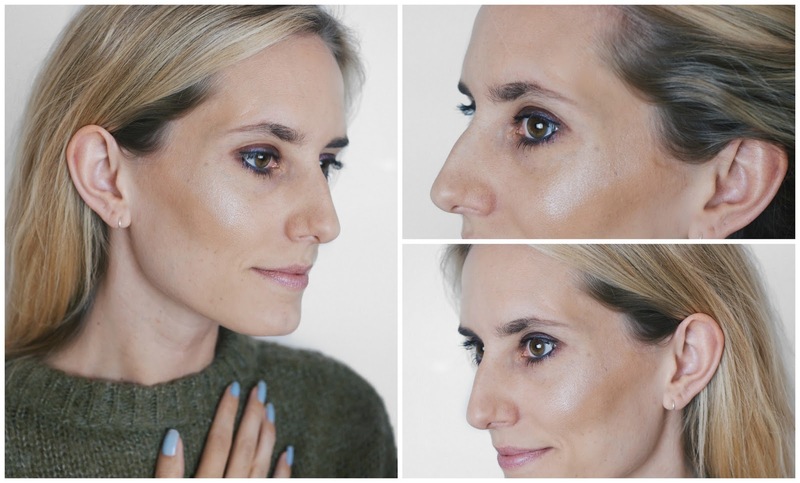 I don’t actually wear bronzer, but in the pictures below I used it to contour. It has some light reflecting particles within it so it won’t be suitable for those looking for that 90’s matt finish, but it does gives a really beautiful summery glow to the face. I love a coppery eye, so I will definietly be using this as eyeshadow. 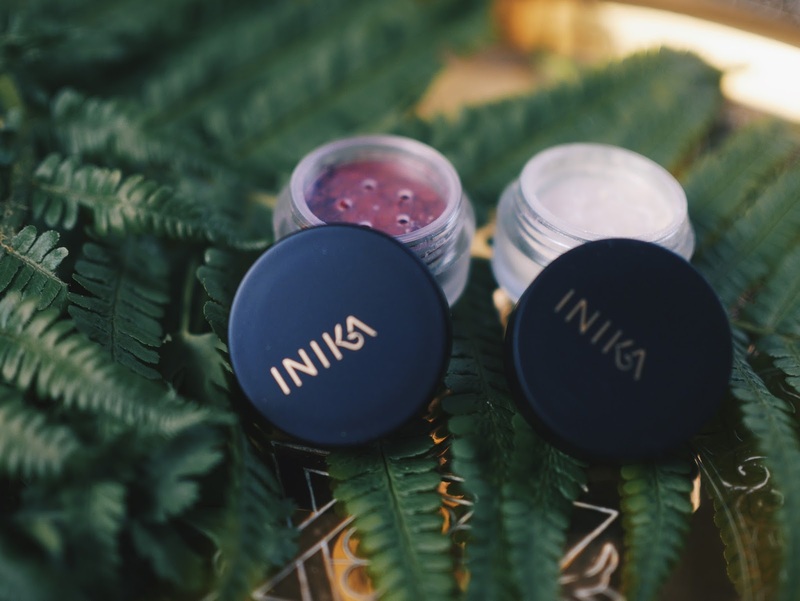 I love versatile products that have multiple purposes – perfect for those that travel! 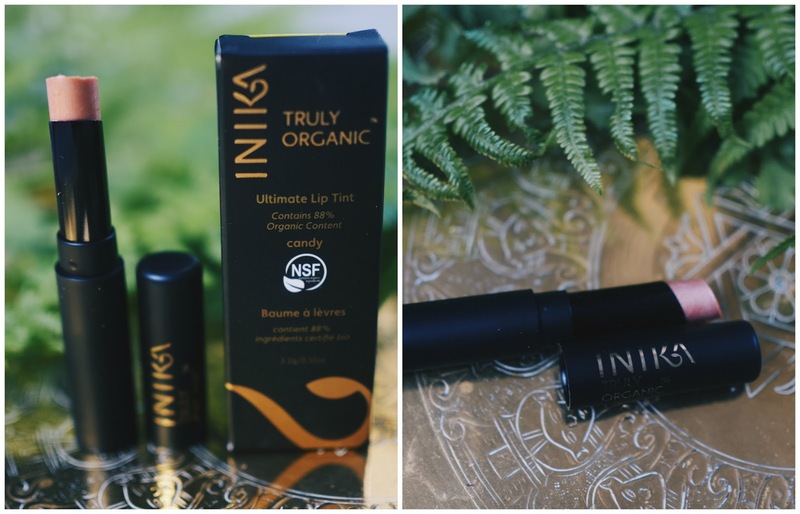 The Ultimate lip tint in Candy applies extremely nicely to your lips thanks to the small and accurate cylinder of product, as well as the smooth formula. It is a slightly glittery colour so you feel an extremely minimal grainy texture when you rub your lips together. It has a slightly refreshing aroma too, but it is extremely discreet, people with smaller noses than me probably wouldn’t even detect it. As you can see from this close up image, this is a semi sheer formula, hence why it is called a tint rather than lipstick. It has an icy glittery finish, which kind of reminds me of some of my first ever lip products I used as a teen. It’s not a colour I would personally veer towards, but I cannot fault the product itself – a very nice and neutral altenative for day wear. 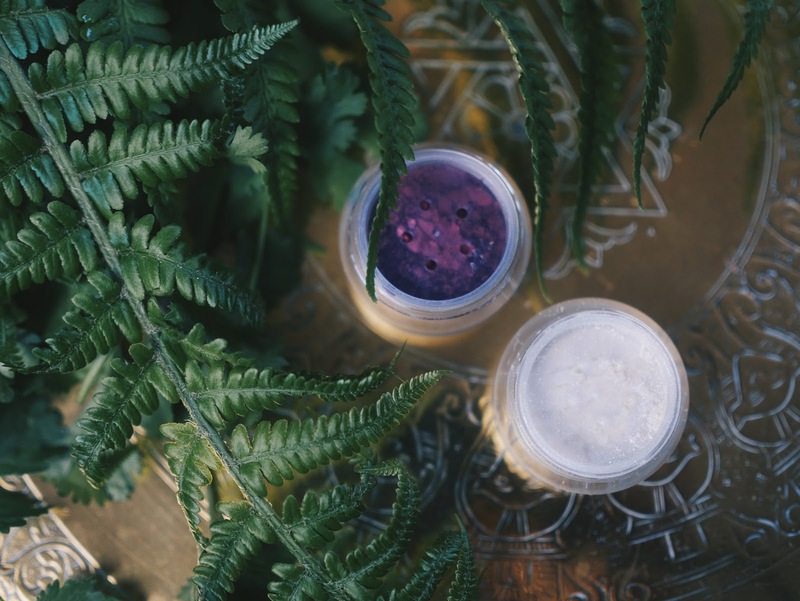 The mineral eyeshadows come in adorable little frosted pots. Products like this scare me, because of my tendancy to be extremely clumsy and drop them all over my carpet…and what do you know, I tripped and managed to throw one of the pots over the banister on the landing and decorated my hallways with glittering gold. That’s my issue though…. One of the colours I was sent was Autumn Plum, which is a colour I would definitely choose myself. 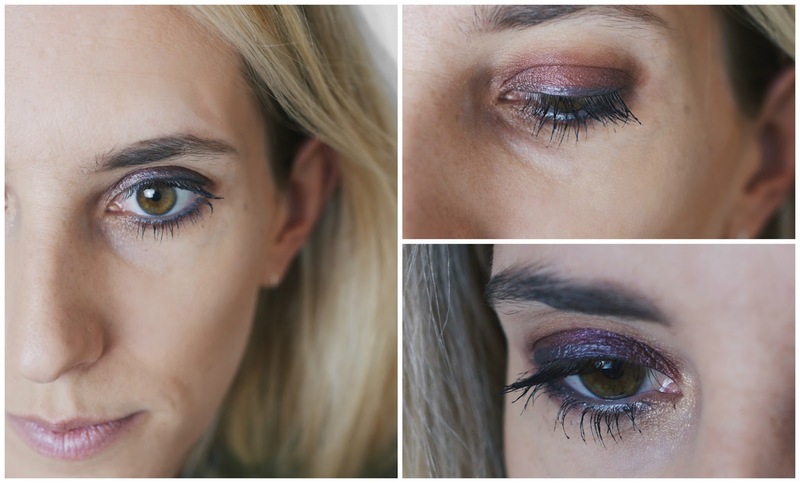 I love plum because you can create warm smoky eyes, as well as the iconic grunge looks which are my go-to. 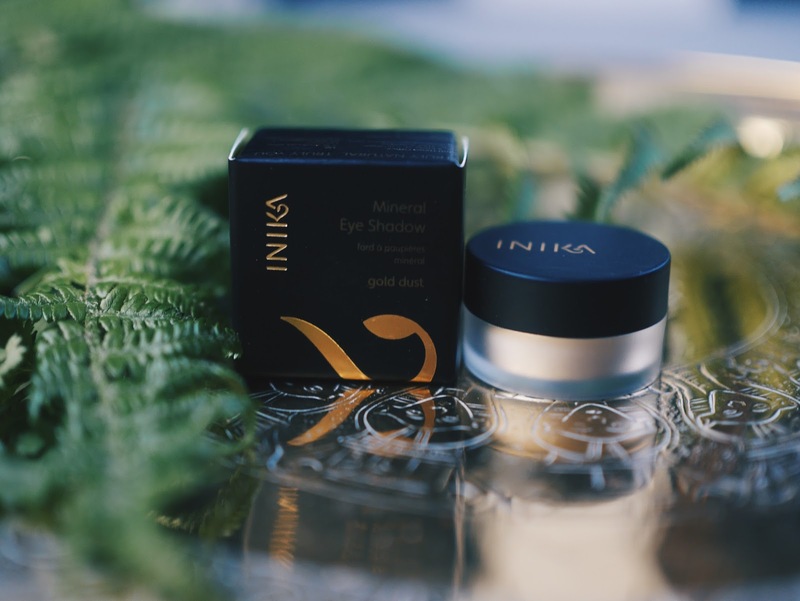 The second was the now, slightly depleted, gold dust mineral eyeshadow. I applied the plum to my eyes first. The colour is absolutely beautiful and has the perfect amount of sheen to it. When I applied it with a brush, repeatedly moving the brush from side to side, it was a bold colour but nothing compared to the effect it created when I pressed the colour on the lid. This showed how buildable a product it is – you can create as much drama as you’d like. 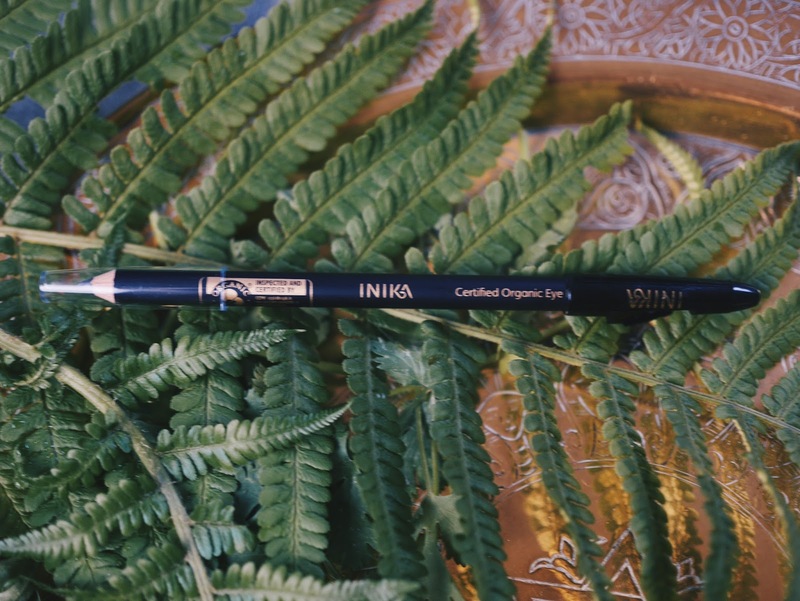 When you apply bold colours it can really show up your application errors, luckily this product is extremely blendable so you can keep using that fluffy brush till you are satisifed with the result. It hasn’t shown up in the photos, but I applied the gold colour to the inner corners of my eyes to give the illusion that I’m not actually deathly tired after this weekend’s Slam Dunk festival. 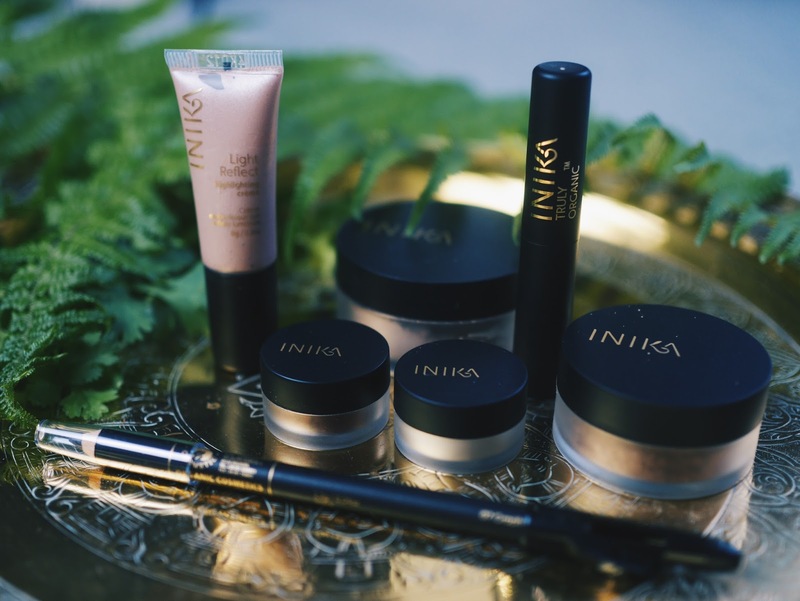 It’s a beautiful pure light gold that would also actually be fantastic used underneath the brows, on the cupids bow and cheekbones. After the drew on my hand the little waxy film of the pencil was removed, revealing a smooth, sparkly dark grey product, which was incredibly easy to apply. It wasn’t so soft that it created a mess, nor too waxy to create a pleasing amount of stain. I was very impressed…more proof that you don’t have to sacrifice quality when opting for more responsible, animal/environmentally friendly products. Perhaps the star of the show for me, although it’s a close fight between this and the plum shadow. 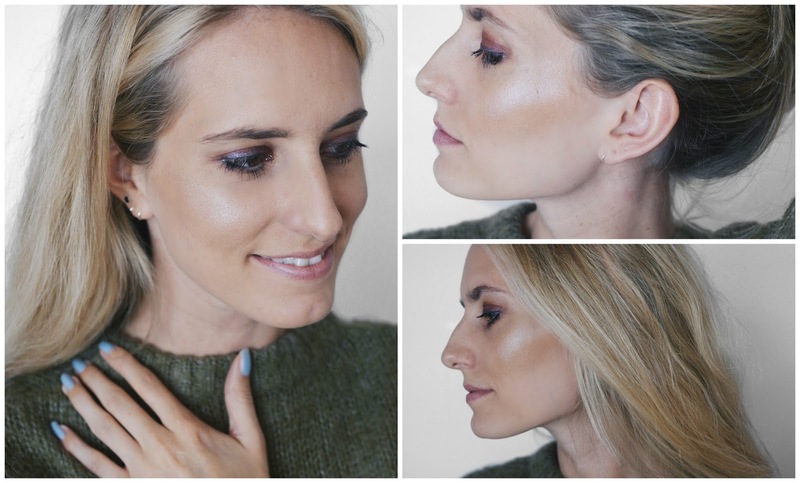 Highlight products scare me a bit, mainly because I fear that products with glittery particles draw attention to my uneven skin, bumps, blemishes and open pours. Being a creme it is very easy to apply. I put some of the product on the tip of my finger and dabbed it on the top of my cheek bone, adding another layer till I was happy at the level of highlight. Its a rose gold colour, which adds a hint of warmth that some highlights fail to deliver. I don’t like examples that are too white in appearance, I prefer them to have a fleshy undercurrent like this one. I was so impressed with it’s ability to catch the light, and couldn’t help but keeping checking myself out in the mirror. 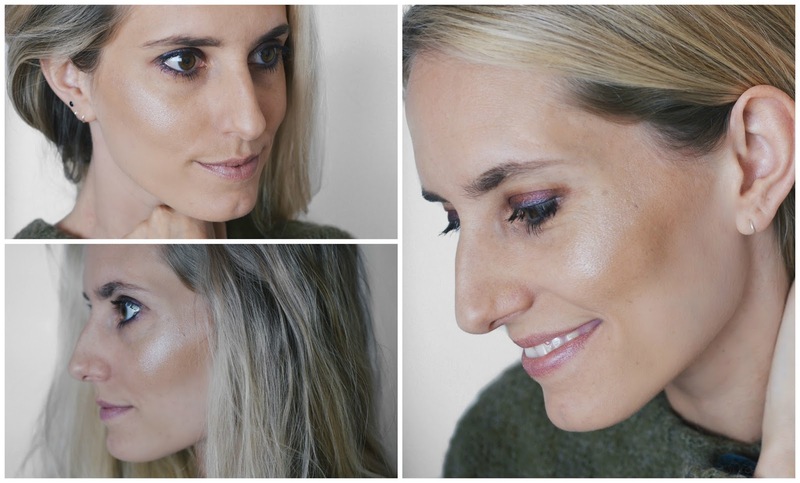 I think it’s the first time in my life that the expression ‘highlight on fleek’ could be applied. As I write this blog post, I have been wearing it for over 7 hours and it looks just as fresh as when it was first dabbed on. 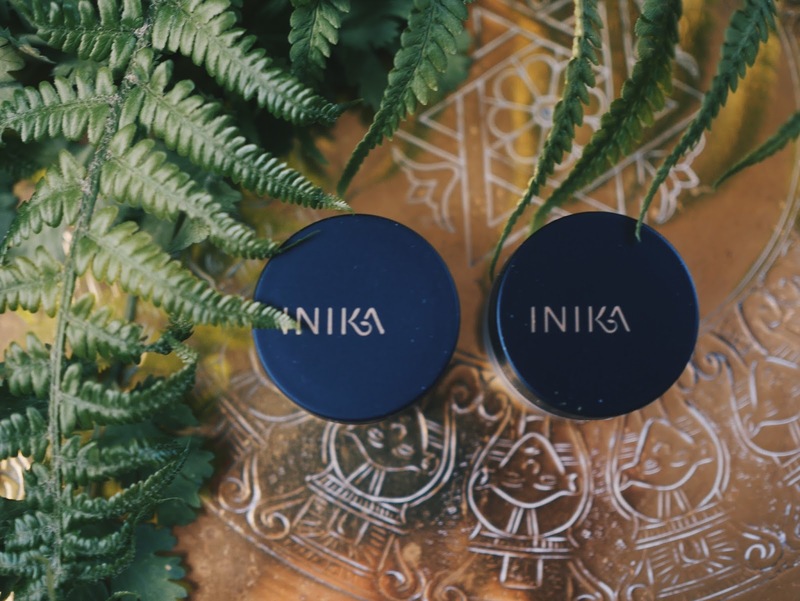 I was thoroughly impressed with this make-up line and can’t wait to try some more products…I think I’ll try out their liquid foundation and blush next! 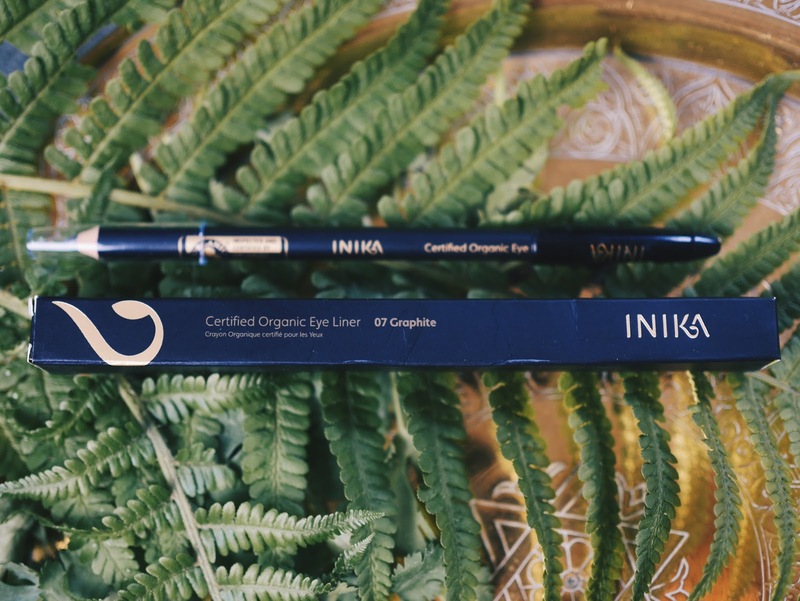 People that have adopted a cruelty free and vegan lifestyle want to be confident about the things they purchase, so I wanted to list the company credentials below to give you peace of mind that an Inika purchase will fit with your lifestyle..
contains a minimum of 70-95% certified organic ingredients. contain 82% organic content by weight. 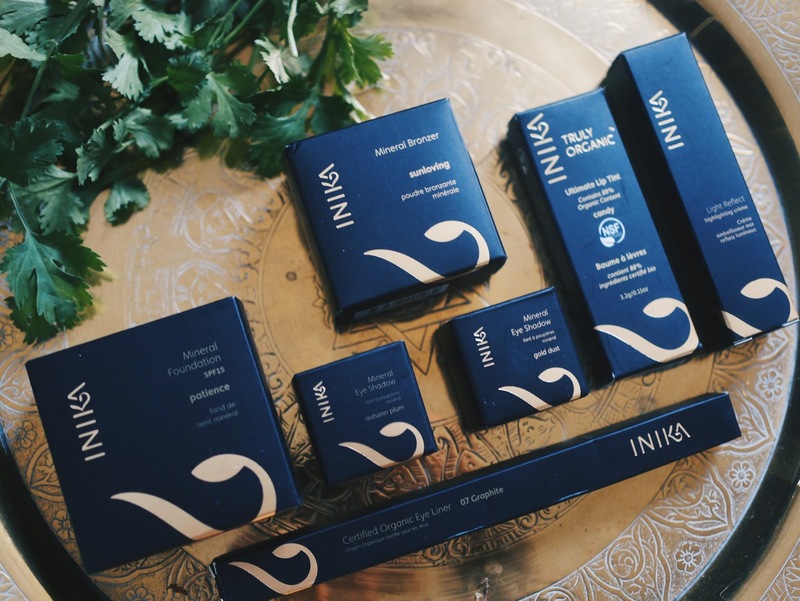 Will you be adding some Inika into your daily beauty regime? I bloomin’ hope so! Previous Post FESTIVAL HYGIENE – THE INS AND OUTS…..
Next Post NEW BEARTOOTH ALBUM – OUT NOW!